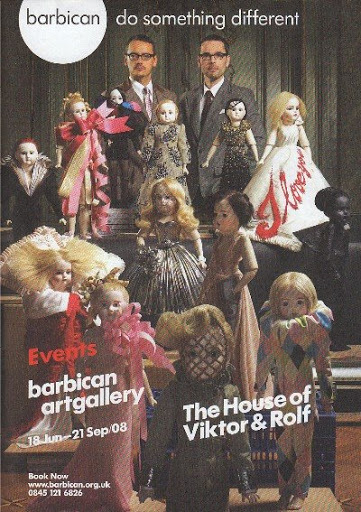 The Barbican is hosting what looks to be a fantastic retrospective of the work of Dutch fashion designers Viktor and Rolf. I’m running two workshops as part of this exhibition – Craft Couture day workshop which is alas, already sold out, and a free drop-in workshop on the evening of September 4th, which is free to same-day ticket holders. In that session there will be a chance to try out simple pleated and gathered corsages. One of the things that has been keeping me busy in the last few weeks has been writing the teachers pack to go with the exhibition. This may be intended for teachers, but it is also an excellent general introduction to some of the themes that Viktor and Rolf use, like historicism, fashion as art and distorting the body shape. Although I say so myself, I think it would be an entertaining read for anyone with a general interest, and certainly any one studying fashion or fashion history.